The workshop was convened, in part, in response to the 2016 passage of the 21st Century Cures Act (Cures), which directs leadership of the National Institutes of Health (NIH), the United States Department of Agriculture (USDA), and the Food and Drug Administration (FDA) to “complete a review of applicable regulations and policies for the care and use of laboratory animals and make revisions, as appropriate, to reduce administrative burden on investigators while maintaining the integrity and credibility of research findings and protection of research animals” within two years of the bill’s enactment (which occurred on December 13, 2016). The recommendations in the report are directed to federal agencies that are involved in the oversight of federally funded animal research, particularly the NIH and the USDA. The recommendations stem from the workshop’s identification of requirements that demand significant administrative effort without demonstrating enhanced animal welfare. Thus, the recommendations consist of steps that agencies and Congress can take to reduce these inefficiencies. Speaking or Research applauds the thorough and thoughtful process of deliberation this group of organizations went through, as well as the transparency provided in the report. We believe that such transparency will allow for a public discussion of the system and of the potential for improvement. Here, we provide a high-level summary of the recommendations. The full report and set of recommendations are freely available at FASEB’s website. The Major Recommendations are geared toward several major governing and oversight bodies: 1) The Executive Office of the President and Congress, 2) Both the NIH and USDA, and 3) the NIH and USDA separately. The Executive Office of the President (EOP) and the Office of Management and Budget (OMB) should consolidate animal research oversight under a single Federal office or entity with one primary set of regulations and guidance documents. A committee of experts engaged in animal research, comprised of institutional administrators, Institutional Animal Care and Use Committee (IACUC) members, investigators, and veterinarians, should be invited to assist with this consolidation effort. The EOP and OMB should require at least a 60-day comment period on the merits and impact of any proposed policies, guidance documents, frequently asked questions (FAQs), or interpretive rules before they are issued. Final policies and guidance should reflect germane comments received from the regulated community. Congress should amend part of the Animal Welfare Act (AWA) to require only annual inspection by the IACUC, and should revise the requirement for annual USDA inspection. Appoint an external advisory group of experts engaged in animal research, from entities that receive federal research funding, to serve as advisors. The advisory group should include institutional administrators, IACUC members, veterinarians, and investigators engaged in animal research. Have all Public Health Service (PHS) and USDA regulations, policies, guidance documents, FAQs, and interpretive rules, as well as the process for generating them, reviewed by an external advisory group of the very experts engaged in animal research (from entities receiving federal funding). As above, this group should consist of institutional administrators, IACUC members, veterinarians, and investigators engaged in animal research. This review will ensure that the documents emphasize matters of core importance to animal welfare identified in the regulatory language, and that they are consistent with current scientific and technological knowledge and approaches. Establish a risk-based process for review of animal research protocols, similar to that which is used for human subjects research. Through a Notice in the Federal Register, NIH and USDA could amend the protocol review requirement to define types of studies that are low-risk, noninvasive, or minimally invasive. These studies could then be subject to less stringent review criteria than higher-risk, more invasive studies. 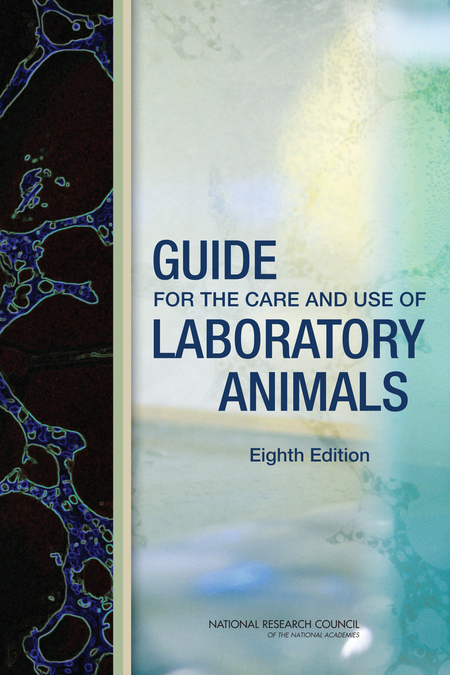 Use the Guide for the Care and Use of Laboratory Animals (Guide) as it was intended – as a guide, not as a regulatory document. IACUC-approved strategies stemming from recommendations in the Guide should not be not be required to be included in semiannual reports to the Institutional Official. Eliminate the requirement for verification of protocol and grant congruency in the NIH Grants Policy, so as to allow for reasonable advances, discoveries, and other developments in overall research objectives. Revise NIH guidance regarding prompt reporting to include only those incidents that jeopardize the health or well-being of animals. 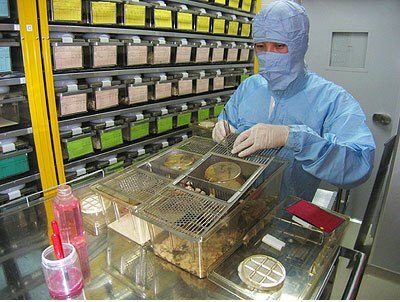 Streamline the assurance for animal research. For Category 1 institutions, allow proof of accreditation in lieu of the detailed program description. Revise the relevant section of the AWA to specify IACUC reviews of animal research protocols at least once every three years, and at appropriate intervals as determined by the IACUC. This modification would make review frequency consistent with PHS Policy. Revise the USDA Animal Care Policy #14 to reflect the language that exists in the AWA and the AWA Regulations (AWR), so that multiple survival operative procedures may be allowed at the discretion of the IACUC and as justified for scientific and animal welfare reasons. This modification will aid the research community in reducing the number of animals involved in research. We urge people to read the report and come to their own conclusions. If you have any thoughts on the recommendations made, please do share them in the comment section. Posted on October 31, 2017 November 1, 2017 by EditorPosted in News, Science NewsTagged FASEB, guidelines, NIH, regulation, USDA. I have a feeling this has to do with the new “anti-regulations administration”. This is very disappointing. The united states compared to European countries already have very low standards when it comes to animal welfare. The USDA does not even recognize mice and rats as animals to “relieve their burden”. It seems like many other countries, especially the European countries do not follow that inhumane policy of not recognizing mice and rats. The united states disgusts me. The aim is not to reduce the standards of animal welfare in the US, but rather to strip out red tape without negatively affecting welfare. Remember that the NIH has regulations which do cover mice and rats even if the USDA regulations do not.